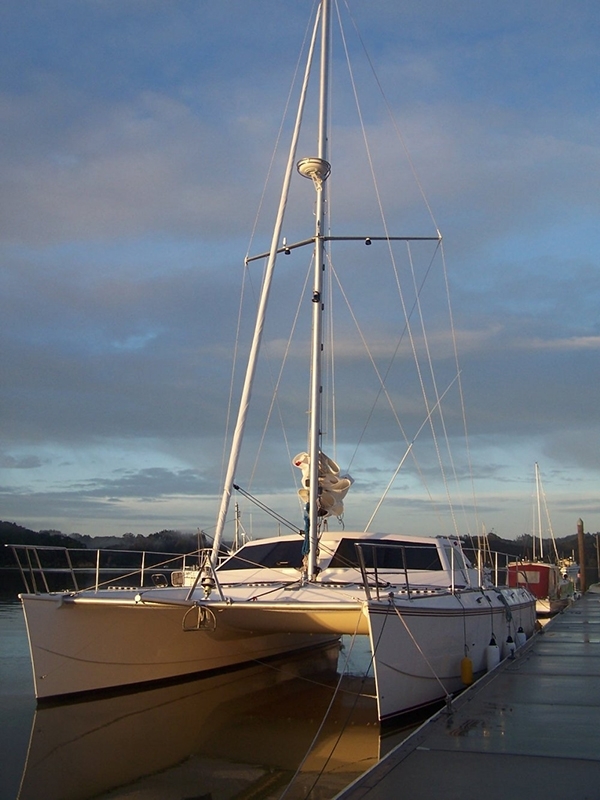 Katariana was commissioned by John & Ankelien McIntosh of Auckland. 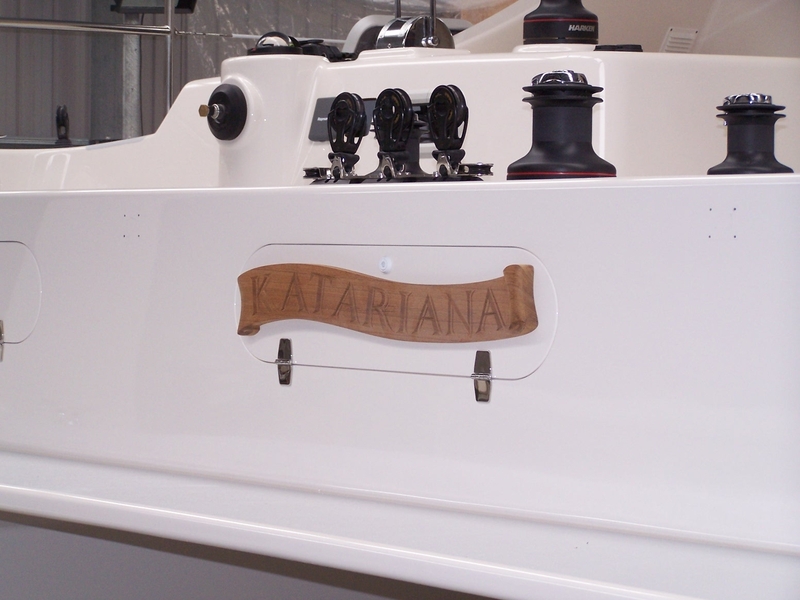 John had been dreaming about Katariana for 10 years, before the build had even started, and had some specific ideas about what he wanted out of his boat. 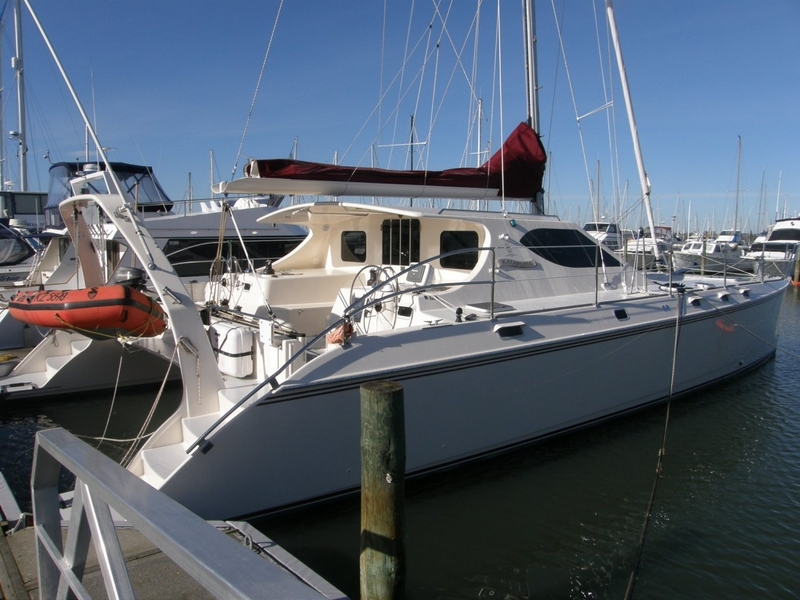 It had to be offshore capable and live-aboard friendly. 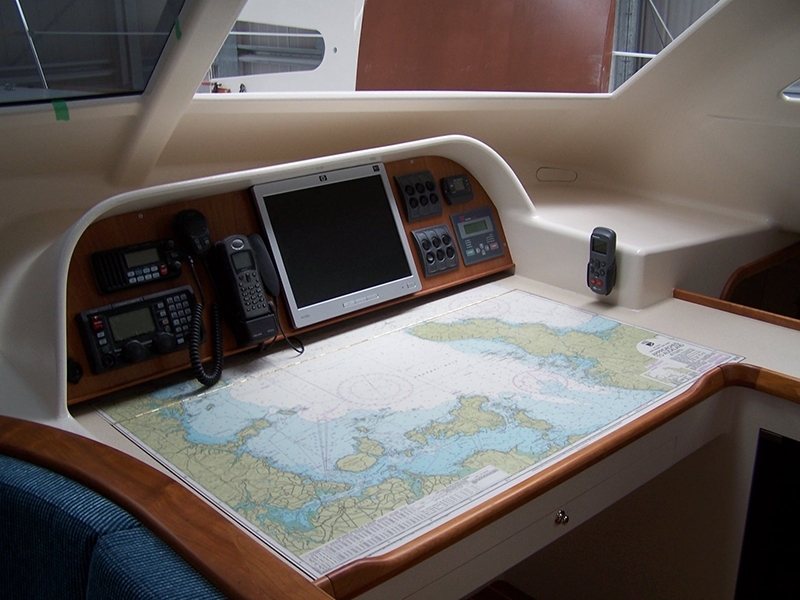 Able to stay away from the marinas and harbours for long periods of time. 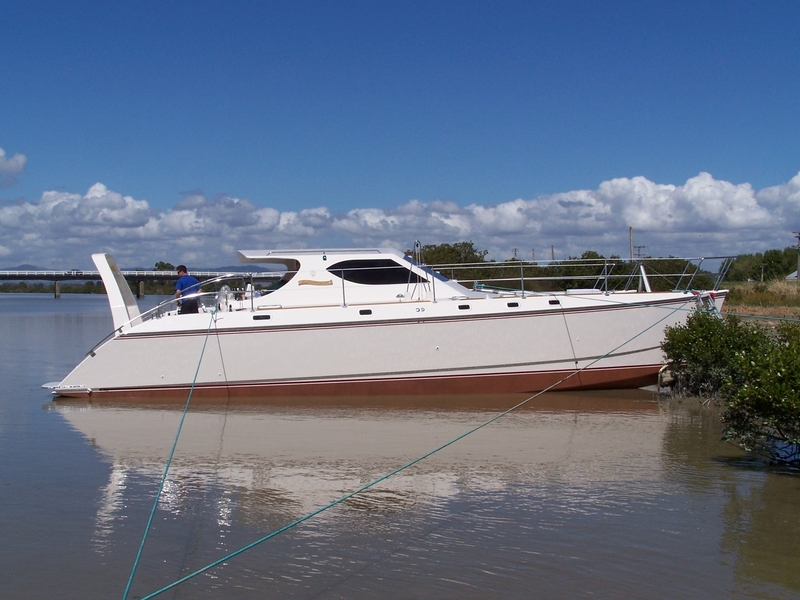 This was achieved by a Whisper-Gen Genset and onboard watermaker. 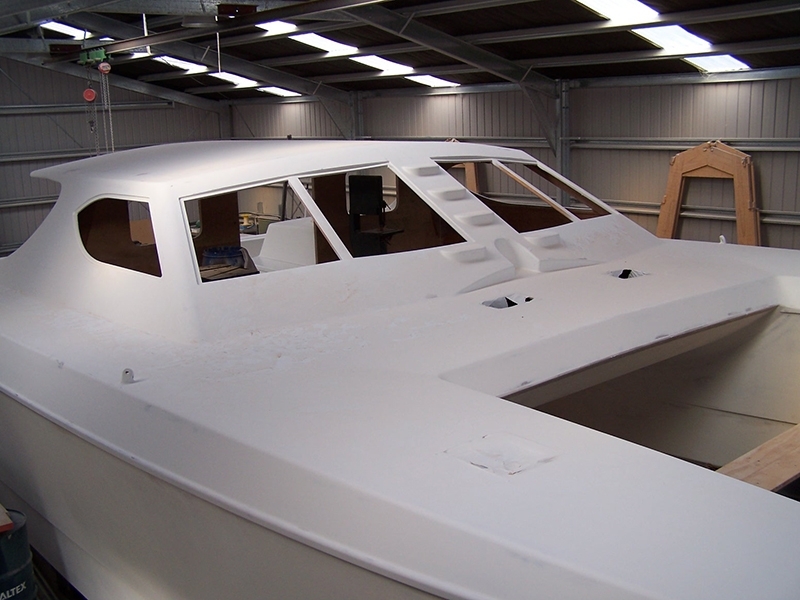 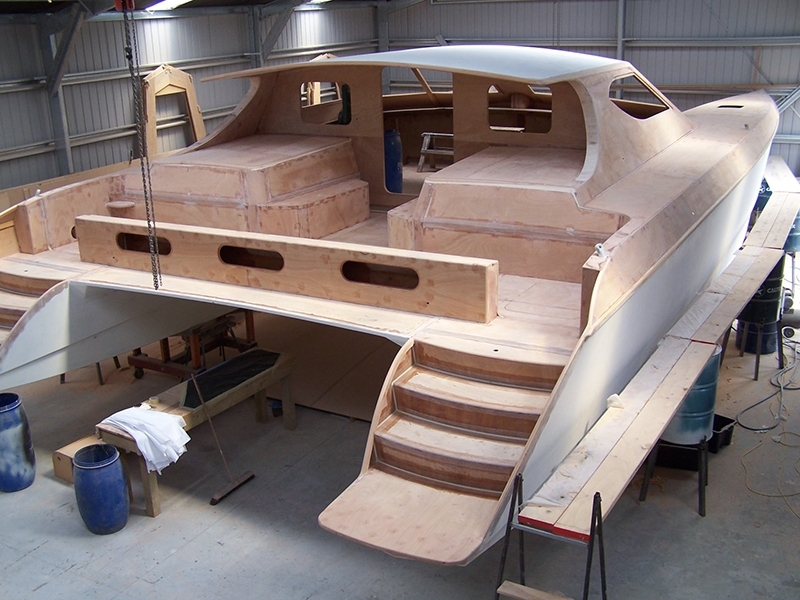 Katariana has double cabins aft, to keep the weight out of the bows for offshore sailing. 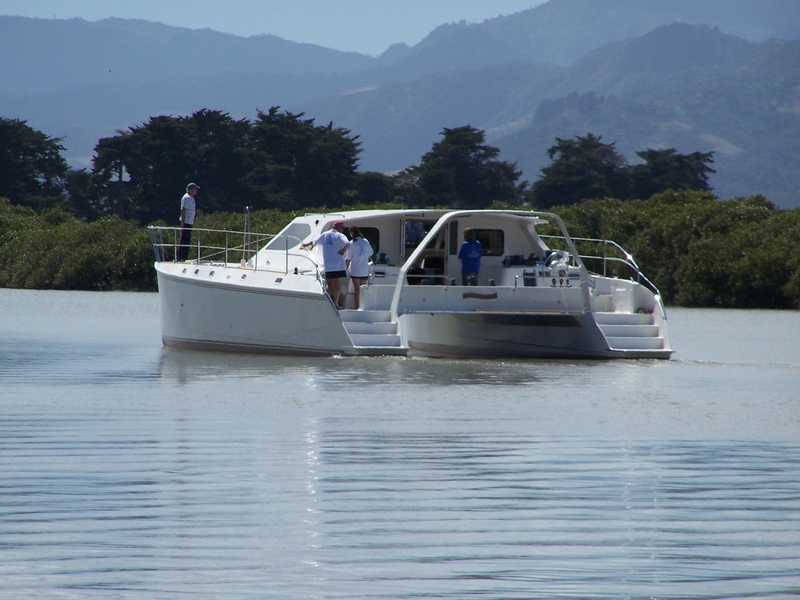 (Two extra double cabins can be positioned forward off the mast bulkhead on either side of the boat). 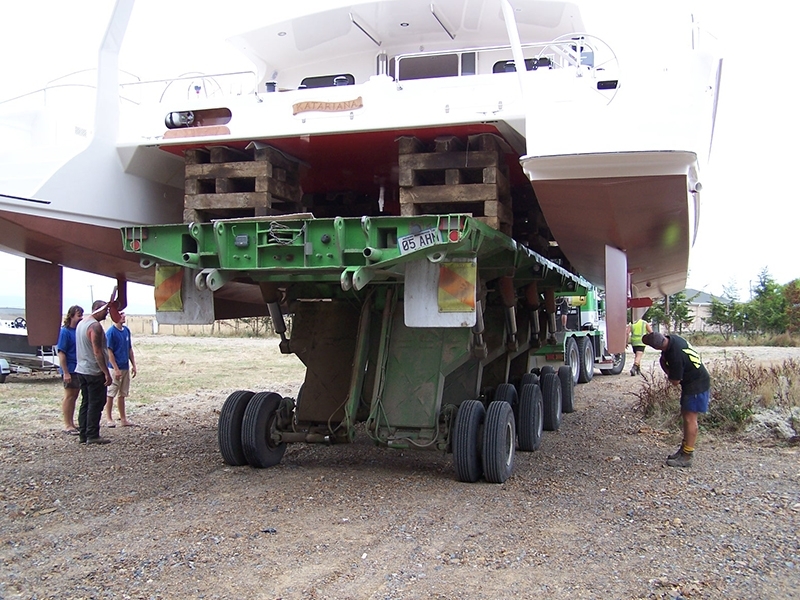 There are toilets in both hulls and a large shower in the starboard hull. 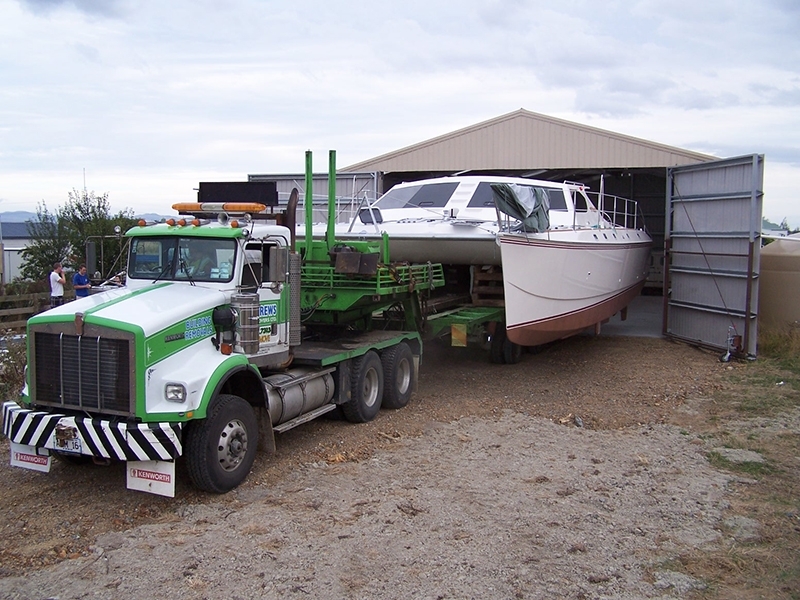 There is a well equipped galley and fold-down bunks in the forward workshop. 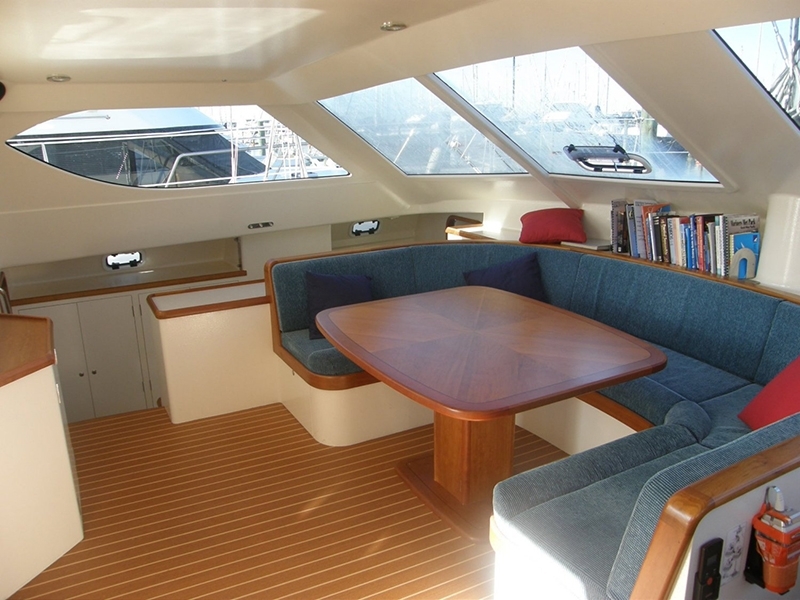 Katariana has all the comforts of home, with a huge saloon and a massive cockpit area, this makes the boat perfect to entertain a large number of guests at the same time. 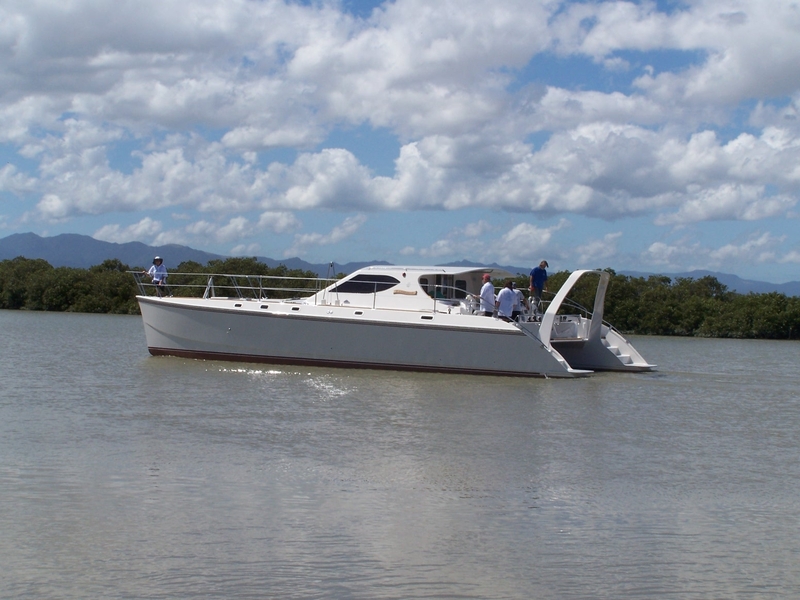 John has achieved his goals with Katariana, heading to Noumea within months of its launch, followed later by a trip to the South Island in March 2009 - Katariana is rarely moored at the marina. 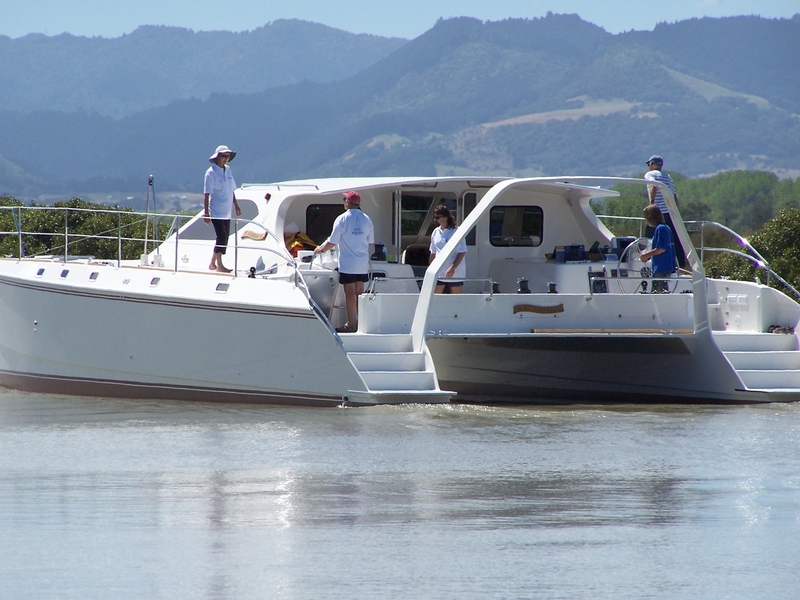 Recently John and his crew completed the 2009 Coastal Classic with a fantastic reach up the coast, hitting 18.9 knots on the GPS in 26 knots of breeze. 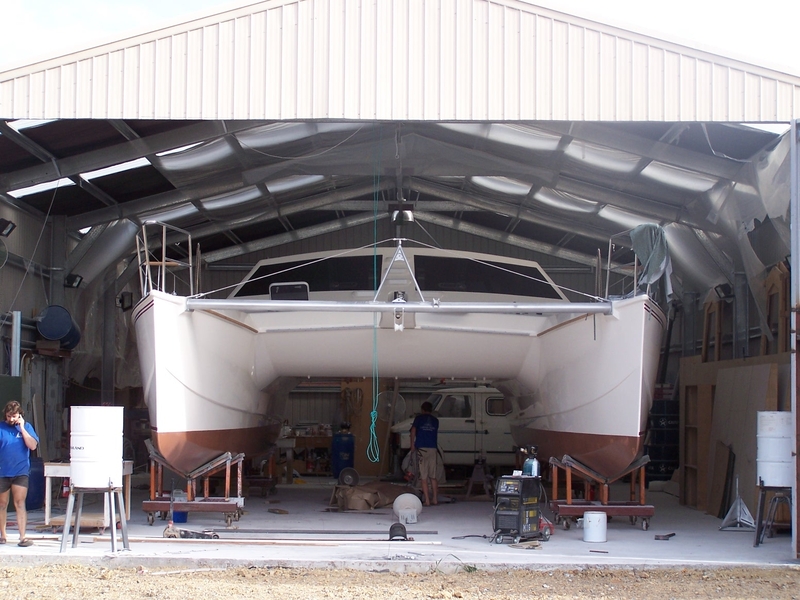 It was an absolute pleasure working with John & Ankeline on their dream, along with design and back-up from Ron Given, making the building of Katariana a very successful build.